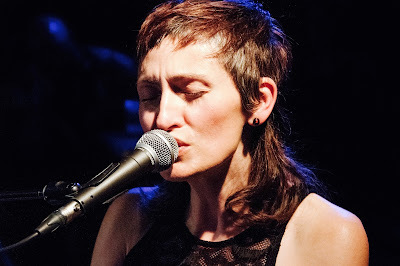 This podcast interview with a key figures on the Canadian jazz scene, vocalist SIENNA DAHLEN, is a follow-on from our interview from 2016, which has become our most listened-to interview (link below). In this podcast we traverse through several different aspects of her varied work: first as a singer-songwriter with her own project Ice Age Paradise; then her methods as songwriter; then as educator (she teaches at McGill in Montreal); then as featured vocalist in a new major work by Christine Jensen for jazz orchestra, Under the Influence, a commission from the Orchestre National de Jazz de Montreal; and finally as an artist finding a balance - notably her house/artists' retreat in the idyllic Laurentides. Interview by Sebastian at McGill in Montreal, July 2017. Audio production by Harry Jones.